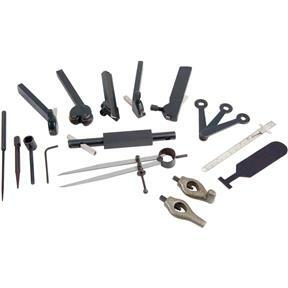 Lathe Tool Kit for Rocker Style Tool Post, 20 Pc. Grizzly H5868 - Lathe Tool Kit for Rocker Style Tool Post, 20 Pc. This practical kit includes a number of handy essentials needed by lathe users—with tooling designed to fit in rocker-type tool posts. All for a killer price!